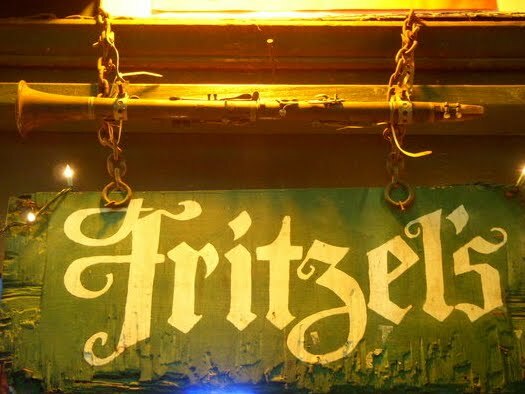 Fritzel's is one of my favorite spots, and one I always hit whenever I'm down there. It's near the far end of the stretch of Bourbon St where the venues are closely packed, down where the crowds start thinning out at least a little bit. It's quite small, and often crowded, so I often sneak off alone away from the pack late night and am usually and able to find a bar stool or squeeze onto a spot on a bench and take in the atmosphere. The draw here is, of course, the fantastic traditional jazz emanating from the great small bands they have playing on the tiny stage. Saturday night they had Richard Scott and Friends playing, and I quite enjoyed the set. 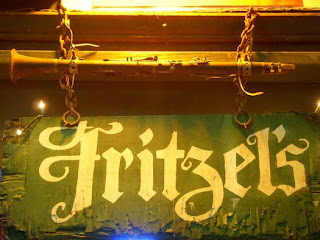 (If you go to Fritzel's site, as of this moment the music that plays is Richard Scott if you want to check it out.) Man I love this place. I love that music! I could sit and listen to that type of jazz forever.